I think blog tours are wonderful. How else can you promote your book, meet writers, reach readers worldwide, and get better Google rankings? For free? I do some guest posting during the year on different blogs, but a tour is different—it’s a concentrated effort and a lot of guest posts during a short period of time. I’ve done a couple of blog tours and there are some things I think I do well and some things I’d have done differently. Time: The release, very close to a deadline I had for another series, sneaked up on me. I think I gave enough time to my hosts to fit me into their schedule…but barely. And it would have been nice, on my side, to have had a little more time to write my posts. If I’d thought ahead, maybe I’d have come up with a cool logo for a blog tour visual. I’ve seen some that other writers have done and thought they were really cool. Reach: I think I do really well to reach out to writers. I know where writers are, I’m familiar with their blogs, I’m comfortable. Would it be better in the future to vary my tour and include some stops on mystery blogs that readers hit? Probably! I did help facilitate getting my book to some book bloggers, so I tried…I’d give myself a C there. I posted on a variety of blogs, some of which might have been new to my regular followers. I posted on topics that I thought would be interesting to readers and would get good play on Twitter and Facebook. I tried to think of topics that would work best for my hosts’ sites. I tried to bring traffic over to my hosts’ sites and be conscientious about responding to comments. Be sure to send buy-links for your book to your host. Write a pithy bio that tells a little about who you are and what you write. If you’re on Twitter or Facebook, post the link to your daily post and what the topic is that you’re writing on. How long can you keep up? Don’t make your blog tour so long that you get exhausted with it. I found new followers, even though I wasn’t really posting. I got a good amount of cover recognition and some author branding. I did sell some books and meet some great writers. Anyone else have anything to add or thoughts/tips on blog tours? Having some problems with Blogger today (surprise-surprise!) and am sorry about the lateness of this post. Hope you’ll come by and join me! I’ve read a couple of excellent posts recently on whether agents are about to become extinct…and possible options for them, career-wise. They make for very interesting reading. One is by Anne R. Allen and the other is a PBS story. But I can definitely see this being a problem down the road for agents. I’m not sure how far “down the road” is. It could be a problem five years from now…it could be a problem next year. I don’t understand many parts of my contract. I hate keeping track of when I’m supposed to be paid. My agent hunts down checks and payments. I hate keeping track of my foreign rights, e-rights, etc. My publishers require me to have an agent. My agent pushes me to think about a long-term career plan, goals, and methods of getting there. My agent haggles over money for me, during contract negotiations. My agent acts as a first-reader for me before my manuscript is sent to my editor. I like the fact that my agent runs interference for me. When I am talking with or emailing my editors, I’m just dealing with the creative side of the industry. I’m the fun one to work with. My agent is the one who presses for things on the business end….I don’t have to be the bad guy. I don’t want to be the bad guy. Would I do the above if I had to? Of course I would. But I’m already writing books and promoting them. Those two things are full-time jobs in themselves. At some point, will this change? Well….I just can’t imagine that it won’t change in the twenty plus years that I hope to still be in this business. It would be silly for me to think it won't change, with all the industry changes that have happened in the last year. But for right now, this is an arrangement that works really, really well for me. My plan is to continue what I’m doing with my editors, agent, and publishers, and to explore the e-publishing side on my own, in my own time. What do you think is the future for agents? In your current situation, do you need one, like I do? Or are you able to work independently of literary agents? Right before school wrapped up for the summer, I volunteered in my daughter’s 4th grade classroom. The children had all written stories and were sharing them with each other. The writing that children in this age group (age 10) produce is really amazing. It’s lively, the voice is usually very natural, and there are sparks of vibrant creativity even in the tamest story. One thing that most of the young writers hadn’t mastered, though, was narrative focus. They’d go off on tangents that I would try to keep up with, expecting that the tangents were going to lead to an important point in the story…but, well, they didn’t. It’s easy to say that lack of narrative focus is limited to child writers, but it’s something I frequently run into as a writer. That’s because I’m making my plots up as I go along. And, as I go, I get these threads of ideas that I think might fit in somewhere—and I just dump them into the first draft and keep going. I even put a note in the margin of the manuscript with Track Changes—Fix this later. I know I’m going off-subject, but there might be an idea there to explore…and I leave it in for the draft. Cut it (too rambling, doesn’t move the plot forward, doesn’t add insight to a character). It could go into an extras file for another story or another book in the series. Connect it to the rest of the scene or tie it into the theme, conflict, or other element of the story. Add transitions, if needed. Move the tangent to another section of the manuscript where it makes more sense or ties into a different scene. For me, the first draft is about sticking all that stuff in there, even though I know as I’m writing it that I’m going to have to figure out what to do with it later. I won’t stray too far, and I usually will put a marker to myself in the margin to highlight my ramblings. I wrote a book from a full outline for an editor recently—and I didn’t go off my outline at all. Consequently, I found I needed to add a lot of words to make my target word count. I think my tangents do ultimately get put to good use in my books---and when I’m not making them, I have to brainstorm more in the second draft. If you outline, does it prevent you from rambling? If you don’t work from an outline and take detours from your main point, is it easy for you to fix later? Below are writing links that I’ve posted to Twitter in the past week. Life has been pretty busy lately, so keeping focused on deadlines (I’ve got a July 1 deadline rapidly approaching) has become a priority for me. Unfortunately, Penguin has their blog set so folks have to register to comment (I know….I’ve given them my possibly-unwelcome thoughts on that!) so I’ll definitely answer comments back here or on Facebook if you’d like to leave them. Writer Camille LaGuire is running an interesting interview series on secondary characters for her blog, The Daring Novelist. I love the idea, because supporting characters can really make a book, but they don’t get a whole lot of attention. When I first started out in earnest as a writer, there was no real organized community of writers online. Fast forward over ten years later, and the online writing community has exploded with tons of advice and resources for writers—but how to organize the information to make it usable? Today I’m on Penguin’s blog, talking a little bit about an easy way you can get acquainted with your characters—by spending a whole day with them while doing your regular routine. (Just be careful…sometimes it’s easy to get carried away!) Hope you’ll pop by and join me. I'm also on Joanna Penn’s blog, The Creative Penn, talking a bit about the appeal of a small town setting (and why I choose it over and over again!) Thanks, y’all! Since I’ve frequently encountered the saggy middle problem, I’ve developed different techniques to help me approach it. Hope you’ll join me today at Janice Hardy’s blog for some tips. Today I’m on sci-fi writer Alex J. Cavanaugh’s blog, talking about super powers we writers should have (in the perfect world.) Hope you’ll come by and join me! Hope y’all will excuse this technical post…I’m thinking it might help some of you out there. The program that editors like working with is Word. They like editing back and forth with the writer with Word’s Track Changes program. I’ve gotten so that I enjoy using the program myself and use it for my own editing and revision, even before sending the manuscript to my publisher for revision. In previous versions of Word (most recently 2003, 2007), if I wanted to remove my inane babblings to myself before sending my document to my first readers, agent, and editor, I’d open the document; save an old, marked-up version for my own use; open Track Changes; accept or remove all the changes; delete the comments; turn off Track Changes (if I was trying to be especially cautious); save the new version under a new name (“for review” was usually in the title name), and email it off. Imagine my chagrin when I’ve recently done this in Word 2010 and found that my first reader and agent were opening up marked-up documents with my private notes, ideas, etc. At first I thought it was just me making an error in one of the steps above. That’s because I’m very forgetful, but I can usually hold a thought in my head throughout a 2-minute process. Since it’s happened a couple of times recently, I thought to try to do a little research on the problem. Because today I’m sending 75 pages of a document to a new editor for the new quilting mystery series for a cover conference and I really want to send out a clean copy that doesn’t show my personal scribbles about what I see as problem areas of the manuscript, etc. On Google, a simple search showed that others were having the same issue with 2010—most notably a law office that was horrified it was sending marked-up documents to a different law firm when they thought they weren’t. After some digging, I discovered that one thing you’ll want to do if you want to send a clean document out is to open your document, go to your “Developer” tab, click on “Macro Security,” click on “Privacy Options,” look at “Document-specific settings” and UN-check “Make hidden markup visible when opening or saving.” Because, y’all, if I’ve hidden something, I darned well want it to stay hidden! In the copy of your original document, click the Microsoft Office Button , (file in 2010) point to Prepare, ("Prepare for Sharing" in 2010) and then click Inspect Document. I’m glad that my own musings and thoughts on my manuscript only made it into the hands of first readers and my agent. It’s just not cool to send a document off that way to an editor. And I’m a little irked at Microsoft that this privacy issue wasn’t more obvious. And if there are any techies out there who find any errors in this post or have any additional comments to make on this issue, please bring them up in my comments so I can make addendums and corrections to the post. Any of y’all irritated by privacy issues with Facebook or MS Word? This is the first week of summer vacation for my children…and I’m writing on the go more than ever as we go from swimming pools to skating rinks to bowling alleys! Hope you’ll pop over and visit me at Alan Orloff’s A Million Blogging Monkeys today for some tips on writing away from home. Today I’m over at P.M. Terrell’s blog, with my thoughts on juggling storylines, publishers, characters, and more. Hope you’ll come by and join me! My random drawing will be tonight for the signed copy of Finger Lickin’ Dead. You can enter until midnight ET tonight…. Was there a character or author who inspired you to write? Although I knew I wanted to be a writer while I was still reading Nancy Drews, there was one character and author in particular who made me decide to go ahead and take the plunge. I’m on K.B. Owen’s blog this morning, talking about my inspiration…and it’s a character you might not be familiar with. Starting a blog can feel overwhelming. The internet is brimming with writing blogs—how can you find readers when everyone has a blog? Or, if you already have a blog, you might wonder how to get more readers or broaden your platform. 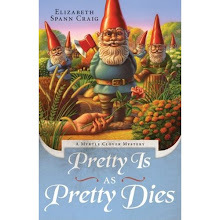 Lesa’s Book Critiques gave Finger Lickin’ Dead a nice review this morning. Just a couple more days left in my giveaway for a signed copy of the book. My Thursday guest, Jeannie Campbell, from The Character Therapist blog, is giving away a copy of “The Writer’s Guide for Creating Rich Back Stories”---comment through midnight ET tonight for a chance to win. Click here and scroll to the bottom of the post. My book releases today! Kindle: http://amzn.to/kh7MAp Print: http://amzn.to/lfUE2N A review: http://bit.ly/lazEjf . Thanks y'all. Publishing is a business that demands a thick skin—but writers are frequently artistic, thoughtful, and sensitive. How do we stay encouraged during the tough querying process? Hope you’ll visit me at Karen Walker’s Following the Whispers blog today for 5 tips for keeping positive. It’s here! Finger Lickin’ Dead released Tuesday in a bookstore near you. Hope you’ll consider it if you enjoy mysteries, or know someone who does. Giveaway: I’m giving away an autographed copy of Finger Lickin’ Dead—details here. I'd like to welcome Jeannie Campbell, the character therapist, to Mystery Writing is Murder today. Jeannie's take on character motivation and the psychology of characters on her blog, The Character Therapist, is a great way to develop your characters and give them some depth. And, I'm over at Mason Canyon's blog, Thoughts in Progress, today, with a post titled: A Mystery Writer's View of the World (and 6 Tips for Friends of Mystery Writers). Hope you'll join me! Good myste ry writers know all about red herrings. 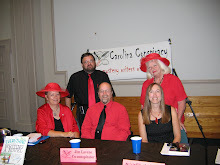 Red herrings are clues that are designed to mislead readers and make them suspect the wrong characters for whodunit. Of course, the placement of red herrings is deliberate because you want to keep the reader surprised as the story unfolds who the true culprit is. In the world of counseling and psychology, families do this all the time. It’s called scapegoating. A common example is when a child gets pinned as the guilty party when in actuality, the dysfunction in the family stems from the mother or father’s relationship. Never mind the fact that he throws tantrums as a way to cope when Dad’s drunk and abusive. At least when he’s having a tantrum, Dad doesn’t hit Mom because they both turn their focus on him. Writers end up scapegoating characters all the time, especially in mystery writing. We want our readers to focus attention elsewhere while we hide the truth from them. In counseling, this deflection is not good and actually interferes with the therapeutic process. In mystery writing, this distraction is a necessary evil pleasure that makes the mystery harder to solve. When I’m counseling a family that is exhibiting a scapegoating tendency, it truly gives me a headache. All the anger and stress and frustration is directed at one person, an any attempt on my part to lighten the scapegoat’s load is met with denial. I’d like to propose that mystery writers should be so good at scapegoating that any attempt on the author’s part to weave in clues pointing to some other killer or thief would be met with reader denial, as well. Once you’ve gotten the reader rattling off a list of evidence that points to Colonel Mustard and you have them summarily dismissing other clues you planted that show his innocence, you’ve done your scapegoating job well. 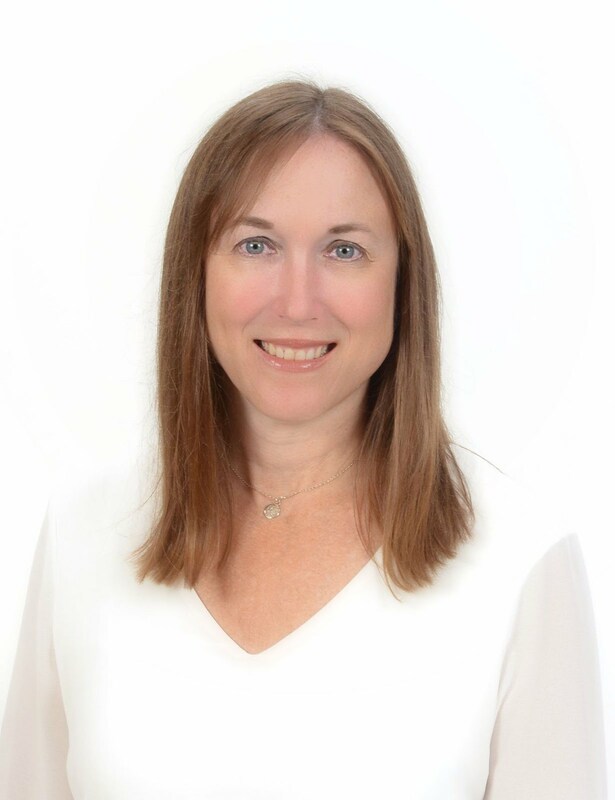 I hope that I ’ll get a chance to connect with many of you over at my new website, The Character Therapist and my blog. Be sure to sign up for my newsletter and receive the Writer’s Guide to Character Motivation for free! 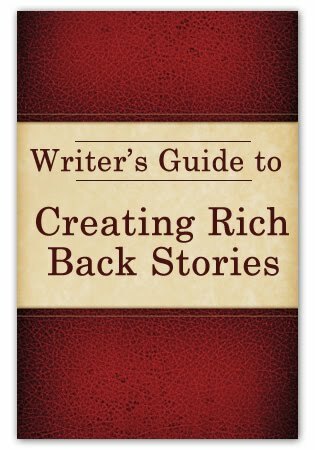 Also up for grabs to one lucky commenter of this post is the Writer’s Guide to Creating Rich Back Stories. Leave a comment and don’t forget to include your email address! Comment through Saturday, June 11th, midnight ET for your chance to win.